Are you moving to Japan from abroad? Moving from Japan to another country? Or just making a local Japan move from Tokyo to Osaka for example? No matter what distance of your relocation is, you shall need moving help. And the moving service Japan is not that easy to find. But certainly not impossible. You shall just need to learn several things before you hire your Japanese professional moving assistance. We are here to help! 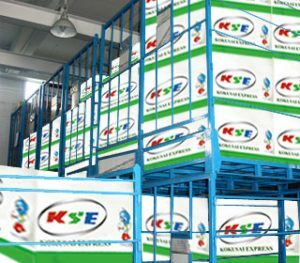 Kokusai Express Japan takes care of the customers and clients needs for decades. Therefore, we have the suggestions what to pay attention to when hiring moving service in Japan. And we will disclose those pieces of information to you. Helping you realize what you should be searching for from moving help Japan you consider hiring. Besides this, we will also talk about the moving service Japan our professional workers offer. Sit back and enjoy! After you decided to relocate, how many of your friends approached you with the idea to do everything by yourself? With their assistance. Probably at least several of them. Which is normal, given that you would save some money by doing it yourself, without hiring professional moving assistance. Just, take a few minutes to consider this idea. In case you are moving within the same building, this might be doable without troubles. Especially if you do not have that much stuff. But in case you are moving to another side of the Japanese city, to another city in Japan or even to out of Japan, this is a venture that takes many precaution measures, together with the know-how and equipment needed for the job. Have you made a Japan move before? If yes, you probably have the idea what part of the relocation you can do by yourself. But you also have the idea what part of the relocation you need to hire professional moving service Japan to help you with. Otherwise, if you have never relocated before, we suggest you start searching for Japanese moving help right away. Well, it can wait until you have read this article. Because we intend to provide you with essential pieces of advice on how to do it right. What to pay attention to when searching for moving service in the Land of the Rising Sun? 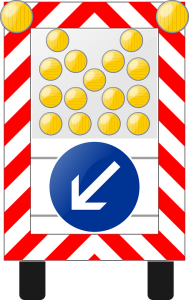 Safety aspect- The most important thing when it comes to any decision should be the safety for you and for your family. The aspect of service quality- You should seek for the best moving service Japan offers, or you should prepare for potential consequences of dealing with the bad Japanese moving help. Money-saving aspect- You certainly do not want to waste money before you even start your life at the new place. Ask your friends and family for suggestions. Especially if some of them have used moving services in Japan recently. They will be able to recommend the best option for a company offering moving help in Japan. This way, you could be sure of hiring reliable and quality moving assistance. And, if some of those friends used the relocation service from Kokusai Express Japan, we have no doubts that they would recommend you come to us! If there is nobody able to make recommendations, you will have to find the help for your Japan move by yourself. This could appear to be a difficult job. But searching for quality moving assistance in the right places could get you closer to the goal of having quality and reliable help during your move in Japan. Some of the resources for Japanese professional moving services could be the advertisements, real estate agent or even internet. 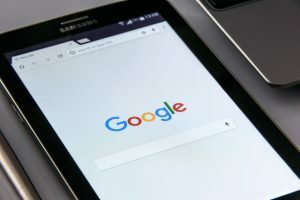 Wherever you search, make sure you have at least five companies to compare before you make the final decision. We invite you to compare us to other companies. Check why so many people say we are the best moving service in the Land of the Rising Sun. Only the real professionals for moving assistance in Japan can be the good candidates to hire. And those are the experts owning all the licenses required for the job of moving. Make sure you do this check-up in the very beginning. And never proceed to other arguments for or against some relocation service if they do not own the proper licenses. Here is the list of licenses Kokusai Express Japan obtained. Read the experiences of previous customers. Find out whether or not they were satisfied. If there was some dissatisfaction, find out why. Was there some big issue? Besides this, check if there were any accusations for scams connected to any of relocation services Japan from your list. Take those accusations (if there are any) very seriously. And we suggest, if there are, that you walk away and not furtherly consider hiring those you find suspicious regarding moving service Japan scams. Avoid agreeing to large up-front payment. Agreeing to pay this would be the same as agreeing to get robbed. Why would you pay someone large percentage of total price before any part of relocation service is provided? It is still a service. You could be asked to pay a little in advance, so the moving service Japan would be sure that you will hire them. But if that amount is a large percentage of the total estimated price for your Japan relocation service then refuse to provide such a payment. This is the most common way of moving scams. Is the company refusing to provide you with the binding estimate for the Japan moving service? First, let us make sure you understand what is a binding offer. It is a final offer guaranteeing you the price for the Japan relocation help you will be provided with. Of course, there could be some factors causing the difficulties and the corrections in small percentage afterward. But that percentage could only be some small part of the total price. If the company refuses to give you the binding estimate, signed by the company’s representative, then you could assume something wrong is going on. Ask if there are some additional costs you could pay, that are not put in the agreement. If there are, make sure you put all of them in the contract. With the amount, you could pay. And calculate the total price including those extra expenses. This is another way of how Japanese fraudulent moving service could trick you. I.e. they give you the price, you agree to it, and they conduct the relocation. But after they finish, the price they want you to pay is a lot bigger than the one you agreed to. They claim it is because you had stairs, they had difficulties to approach your home, they had to move your piano etc. And they refuse to unload your belongings until you pay this enlarged amount! So, in order to prevent this from happening, make sure you put each and every detail in the contract you sign. See if each moving service Japan from your list offers the moving insurance. The insurance is very important. And the right one. Because there are different sorts of moving insurance. Make sure you get the one guaranteeing the proper compensation, in case something goes wrong and some or all of your items are damaged or ruined. Hiring Japanese service for relocation offering moving insurance would be a great thing. This is why we recommend deleting from the list those relocation services not insuring your items. It is important that you use only the best moving service Japan you can find. Because you do not want to experience troubles on what should be the nice and exciting day. 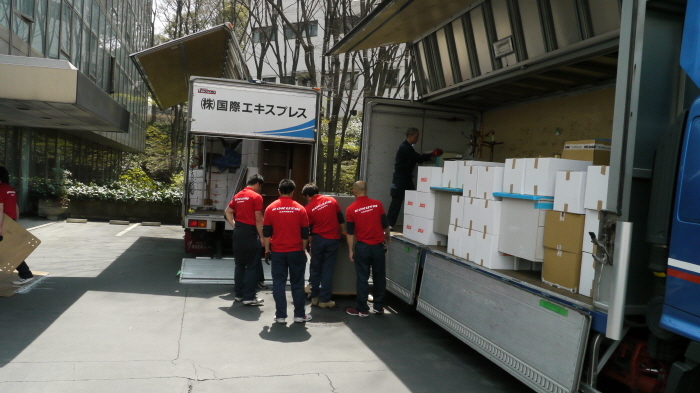 Moving day should be put into the hands of experienced professionals for moving services in Japan. This way you can relax and enjoy entering the new chapter of your life. How do you check if some Japanese professional is offering moving services of good quality? Well, the first step you already have taken during the safety check-up. Reading the reviews you shall find out if someone is good or bad. Besides this, check all the other aspects. Such as do you get the full service for Japanese move, or the company offers only the partial relocation. Do they offer packing and unpacking services? Can you count on safe transportation? Is there the personnel in charge of customs clearance (in case you need international movers Japan), or you would need to take care of this? Are the warehousing services included in the offer, in case you might need them? All of this, and other things important for your particular Japan relocation, you should check before even considering to hire some relocation service Japan. The aspect of quality is the most important thing for hiring moving service in Nippon after the safety. Keep this in mind! Kokusai Express Japan always gets the customers coming at the recommendation. Check why people like us that much! Surely, none of us is happy about spending too much money when it is not absolutely necessary. In accordance with this, you surely will not hire the most expensive help for your move to Japan or in Japan. But also, hiring cheap moving service Japan could appear to be even more expensive decision than hiring the most expensive one! This is why we suggest you take care of priorities. Never, I will repeat, never put the matter of money in the first place! When looking to make a move hire the professionals offering relocation service in Japan taking care of your safety. After that, take care that those services are of high-quality. And only after those two criteria are satisfied, you look for the most affordable option. Making sure you are not dealing with the fraudulent moving service Japan. Checking if the quality of moving services is at a high level. 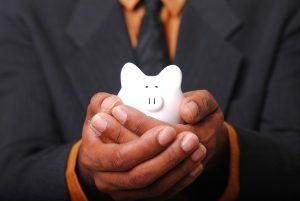 Try to save some money hiring the most affordable option. So after you made the check of safety and quality, compare the price for each service you would be hiring. And we already mentioned that those offers should be the binding or final offers. Only them guarantee that you are comparing the actual price you would be charged. Why is Kokusai Express Japan the best moving service Japan offers? Kokusai Express Japan offers full service for your move in Japan, taking care of your safety! As we previously mentioned, we are not afraid of being compared to any other moving service Japan has to offer. On the contrary! We would be more than happy if you compared Kokusai Express Japan to each service for relocation in Japan. Because we invest very much in your safety while using our moving service. Besides this, our equipment and the personnel guarantee you the top quality of assistance for your move to Japan, for domestic move in Japan, or for moving out of Japan. It does not make too much of a difference to us. Given that we have the experience of many decades in local, long distance and international relocations. and this also makes us able to provide all those services at a very affordable price. Come and check everything you want. We already gave you pieces of advice what you should check before you hire any help for relocation in Nippon. See whether or not we satisfy the criteria for safe, quality and affordable moving service Japan. Because we have implemented all of it in our company since the very beginning. Join the pool of our satisfied customers. We would be more than happy to make another customer smile during the relocation!